Nuclear Magnetic Resonance spectroscopy is a research technique that exploits atomic nuclei with non-zero magnetic moments to act as tiny probes for the detection of the local structure, dynamics, reaction state and chemical environment within molecules. NMR spectra are unique, well-resolved, analytically tractable and often highly predictable for small molecules. NMR analysis is therefore used for confirming the identity of a substance. Different functional groups are easily distinguishable and identical functional groups with differing neighbors still give distinguishable signals. NMR is also a valuable tool for studying local structure and dynamics in a variety of solid systems. 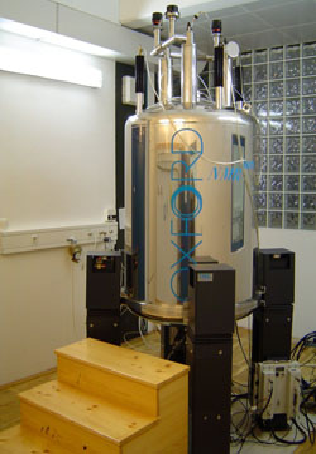 Objects of such solid-state NMR studies in materials science are inorganic/organic aggregates in crystalline and amorphous states, composite materials, heterogeneous systems including liquid or gas components, suspensions and molecular aggregates with dimensions on the nanoscale.